If you get a chance to visit Istanbul, don't forget to go and see those reflective stones. People named this as "The Stone Mirror". 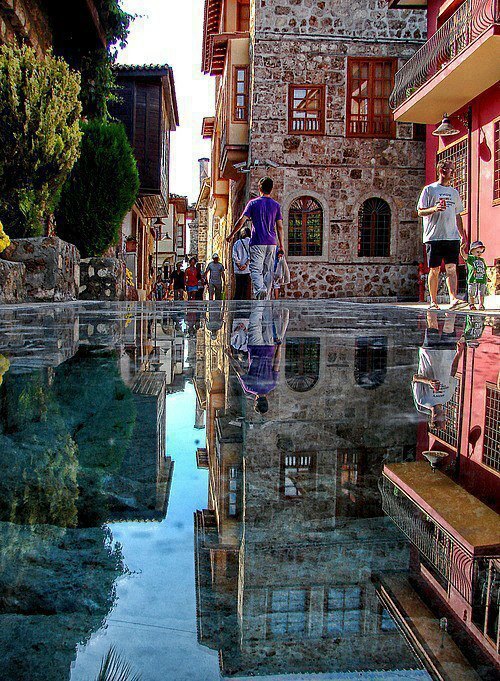 In this picture the way the stone mirror reflected that building really amazes us. Definitely this is a place to pay a visit.